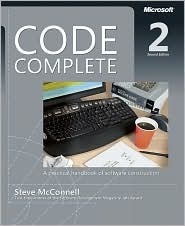 Code Complete 2 is very good and must-be book by Steve McConnell for all developers. The book covers many aspcets of coding and gives very good advices about how to organize and write your code, how to comment and document it and how to write code without ruining yourself. I had to write one data import/export utility that moved data from one database to another. Once I was finished the first round of coding I found one thing that needed refactoring - the import/export process wasn't generalized. It was part of importer/exporter utility main class (it was console application). After some refactoring I got some common things to use in other tasks like this. Don't Make Me Think by Steve Krug is the definitive guide to user friendly web pages. This book doesn't tell you about how to make HTML pages or how to design them. This book tells you what to keep in mind when dealing with web pages and how to make your web pages user friendly. In my previous GridView entry titled as GridView and Invalid CurrentPageIndex Value Exception I made an example about how to corrigate paged GridView page index before grid is bound to data. Let's to id now .Net Framework 3.5 way. SEO is popular topic nowadays and as ASP.NET is growing its popularity also as platform for public systems. Therefore SEO is going to be more important topic also for ASP.NET developers. The world of SEO is always in rapid change - can you imagine that last year Google published 450 updates to it's search engine algorithms? Although the field is changing fast there are some key points that has been fundamental and unchanged this far. Let's see what is the minimum you should do and how you can make your sites more SEO friendly on ASP.NET. There are many developers who have faced the page index problems using GridView. Specially, if GridView supports deleting. Also one may face page index going out of range when there are multiple users managing same data. Here is my little advice about how to avoid page index problems when using GridView. .Net 2.0 provided us with new feature called partial classes. Using partial classes we can use multiple files to keep the code of same class. Yes - we can put some methods to one file and the others to another file. Although partial classes may be extremely useful they can be also used to ruin system's technical design if developers don't know what happens behind the compiler. 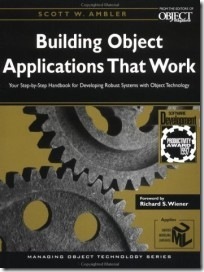 Building Object Applications That Work by Scott Ambler is great book for every developer who is working with object-oriented systems. 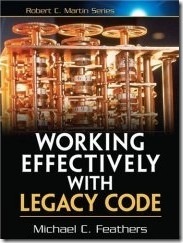 This book is recommended reading also for system architects, designers and managers to get better understanding of object-oriented world.